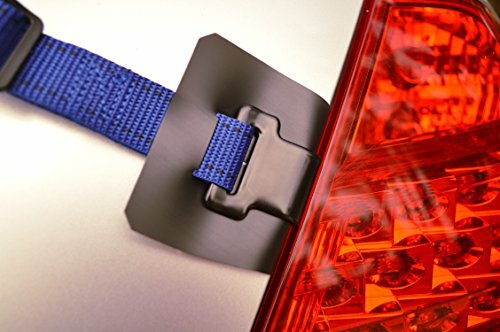 Outdoorsy Supplies' flexible pads protect your car paint and finish from the damage sometimes caused by Trunk Bike Racks, specifically by the hooks that attach to the edges of the trunk lid. Get out and about, bring your bicycle along and ride it, enjoy..., your car doesn't have to pay the price, use these pads to prevent damage. Prevents car damage from Trunk Mount Bike Carrier. Compatible with all brands of Racks. Six (6) pads included to cover all metal hooks. High quality materials, soft and flexible yet very durable. No adhesives or permanent attachments. Straightforward one time installation. Stays attached to Bike Rack. Works on any car. If you have any questions about this product by Outdoorsy Supplies, contact us by completing and submitting the form below. If you are looking for a specif part number, please include it with your message.